18.5 Micron @ 8 years! 6th Championship at 3 years old! 6x Champ 1x Judges Choice!! We have made the hard decision to sell our half of LondonDairy Giovanni. Contact us for more info. Giovanni's micron has stayed sub 22 micron! No wonder he is in the top for EPDs! 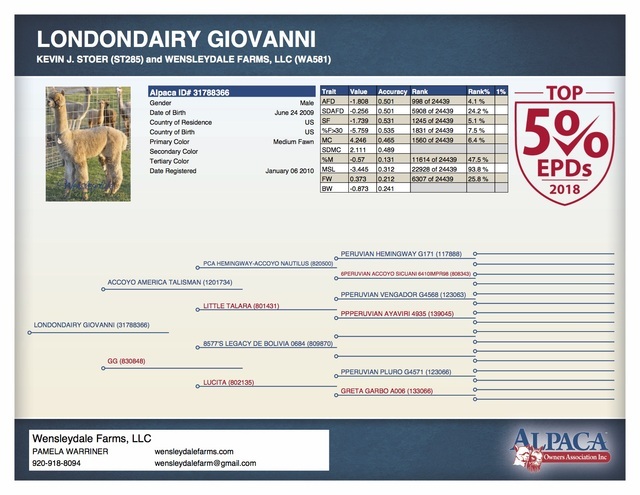 Giovanni's AFD EPD is in the top 4.1% and has 3 other traits in the top 10% and one more in the top 25%!! 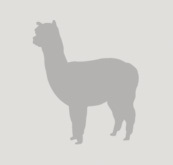 Come take a look at this lesser known and used male to add fineness and genetic diversity to your herd! 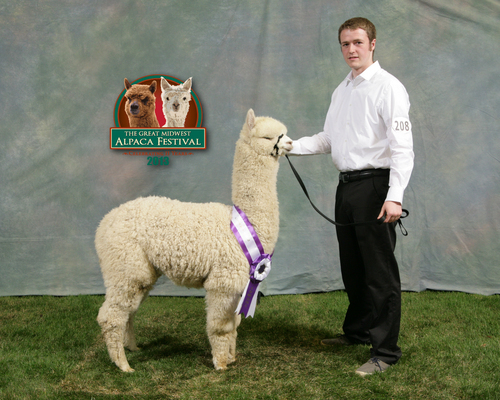 Giovanni has produced champion offspring, one being our very own Summer Breaze, who took 2 champions in very tough WHITE classes!! Contact us for to reserve your breedings TODAY!!! 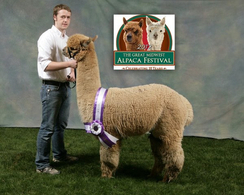 Giovanni's offspring have continued to do very well in the show ring in almost every color and every show! They all have a head like his and his wonderfully fine fleece! 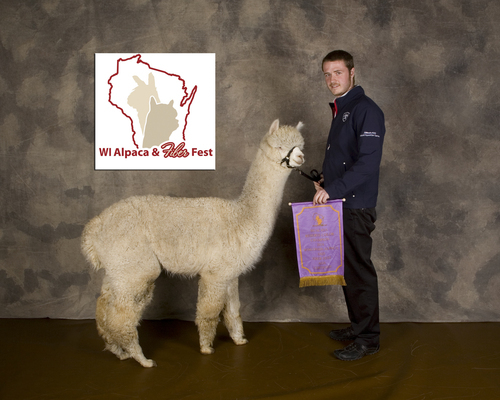 Giovanni's white little girl, Wensleydale's Summer Breaze took White Female Color Champion @ Great Midwest Alpaca Festival over 24 other females!! Giovanni's skin biopsy is back and he has 65.75 follicles per SQ MM against a national average of 58.49 follicles per SQ MM. He has a S/P ratio of 13.4/1 against a national average of 11.9/1. His first cria have dense, fine, tightly curled popcorn fleece! We cannot wait to show them!! Giovanni is an Elite quality stud. Who has the personality to match his fleece. He has High frequency medium amplitude crimp, fineness, density, and brightness to his fleece. Stud Fee discounts for your champion females!